One Warm Coat, a national non-profit committed to providing free warm coats to people in need across the country, announced it has named Beth W. DeWolf as President and CEO. One Warm Coat hired DeWolf to lead the organization’s strategic direction and growth while working closely with the Board of Directors. 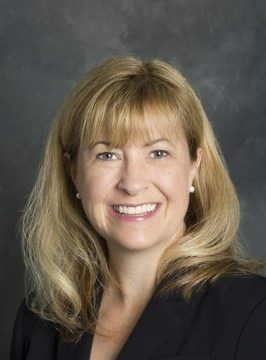 DeWolf has more than 20 years of experience in non-profit leadership including serving as Senior Director of Development and Communications at Second Harvest Food Bank in San Mateo and Santa Clara Counties, where she helped to run the nation’s largest holiday food drive for three years in a row. Most recently, she worked as Director of Development for the University of South Carolina’s Moore School of Business. “I am honored to have the opportunity to work with the dedicated team of professionals and volunteers at One Warm Coat as we strive to ensure that no one will go cold this winter!” said DeWolf. Since it was founded in 1992, One Warm Coat has enabled their volunteers to host over 32,000 coat drives and has collected and distributed more than 5 million coats nationwide. Ms. DeWolf has a strong personal connection to community coat drives. Beginning in the fall of 2013, she kicked off her own community coat drive to collect coats for families in need in her son’s school. The coat drive was so successful that it provided coats for the entire school district and launched an annual district-wide coat drive that has continued for the past five years. DeWolf comments that “One Warm Coat’s mission of providing coats to people in need is something for which I have a personal passion. More than 15% of Americans are currently living in poverty, and for many of them a warm winter coat is not something they can afford.” With a focus on increasing awareness for One Warm Coat, DeWolf plans to increase coat drives across the country, eventually putting systems in place to transport coats to places that need the support most. For more information, please visit http://www.onewarmcoat.org/.